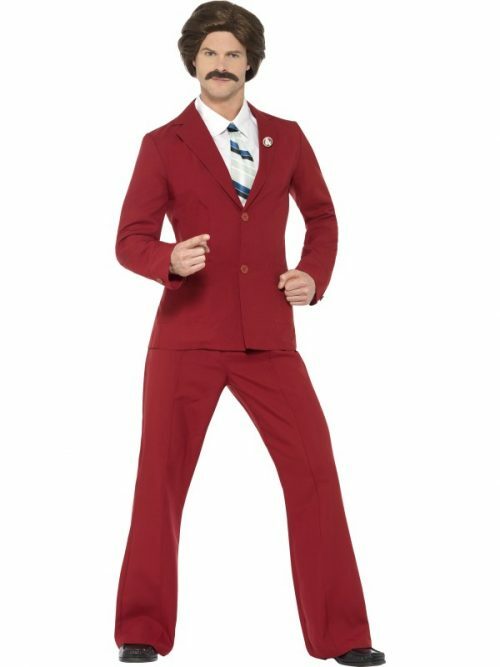 Anchorman Ron Burgundy Costume, with Suit, Moustache, Mock Shirt & Tie 2% Cotton, 98% polyester Adult size fancy dress costume. Not for children. Dyes may not be colourfast. Warning! Keep away from fire.